In 1632, the Emperor of Hindustan, Shah Jahan, overwhelmed with grief over the death of his beloved wife, Mumtaz Mahal, commissioned the building of a grand mausoleum to symbolize the greatness of their love. The story surrounding the construction of the Taj Mahal occurs, however, against a scrim of fratricidal war, murderous rebellion, unimaginable wealth, and not least of all, religious fundamentalism ruthlessly opposing tolerance and co-existence between the disparate peoples in the empire. 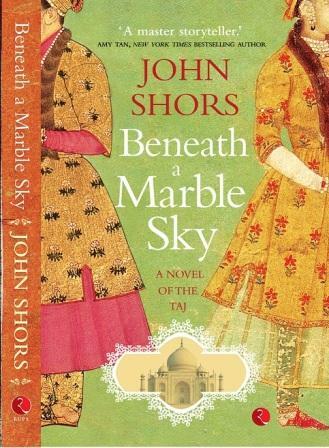 Beneath a Marble Sky — narrated by Princess Jahanara, eldest daughter of Shah Jahan and Mumtaz Mahal — recounts their story, and her own as well, a parallel tale of forbidden love enduring censure and extreme deprivations. Beneath a Marble Sky brims with action and intrigue befitting an epic era when, alongside continuous war, architecture and its attendant arts reached a pinnacle of perfection.